An unashamedly syrupy romance, Sleepless In Seattle concocts a relationship between America's favourite perky sweetheart Meg Ryan and America's favourite sensitive everyman Tom Hanks. The film's dedication to the magic of love is strong enough to withstand the nuisance of the two leads living separate lives, a continent apart. Sam Baldwin (Tom Hanks) is a widower struggling to get over the loss of his wife. With his eight year old son Jonah (Ross Malinger) in tow, Sam relocates to Seattle to try and start a new life, but 18 months later, his is still in the emotional doldrums. Desperate, Jonah calls-in to the national radio show of celebrity shrink Dr. Martha. Eventually Sam gets on the phone and Dr. Martha cajoles him into expressing his emotions to the whole country. Thousands of women listeners are touched by his story. Among the listeners is Baltimore-based reporter Annie Reed (Meg Ryan), engaged to be married to the loving but insufferably predictable Walter (Bill Pullman). Annie finds herself inexplicably drawn to Sam, and begins to seriously doubt her relationship with Walter. Sam embarks on a tentative relationship with co-worker Victoria (Barbara Garrick), while unsanctioned interventions by Annie's friend Becky (Rosie O'Donnell) and Jonah attempt to prod Sam and Annie towards their joint destiny. The magic of true love as imagined by women is the unshakable core of Sleepless In Seattle, and director Nora Ephron (who also co-wrote the script) in unapologetic in layering on the tear-inducing liquid sugar early and often in large, gooey spoonfuls. The soundtrack is a succession of classic romantic favourites including the likes of As Time Goes By, A Kiss To Build A Dream On and When I Fall In Love, and the movie borrows its themes from the 1957 Cary Grant - Deborah Kerr classic An Affair To Remember, which is only considered one of the most romantic films of all time. Two of the hottest stars of the time, Tom Hanks and Meg Ryan make for an appealing would-be couple, despite sharing precious little screen time with each other. 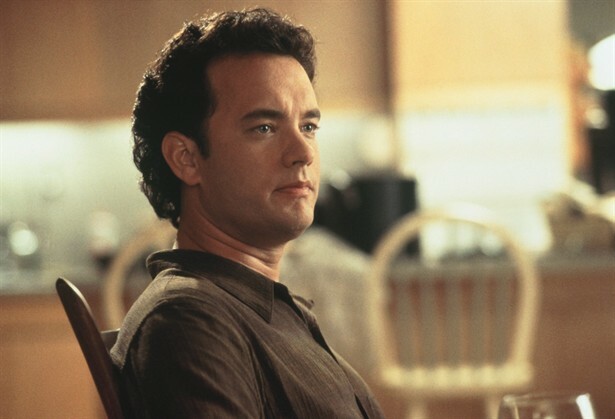 Hanks portrays Sam as the perfect catch for any woman, as dictated by the script, while being genuinely affecting as a heartbroken husband and father struggling to overcome the loss of the true love of his life. Ryan regularly risks overplaying her cute America's sweetheart persona, often betraying an actress ever so slightly over-confident about how much the audience loves her. She makes up for it with some terrific reaction scenes where she commandingly reveals the stripped away essence of a woman realizing that true romance is both currently missing in her life and calling to her from the other end of the radio. The supporting cast fulfils its mandate in contributing to the magic-of-true-love theme, with the consequence that some characters become so much cannon fodder as they stand in the way of the central relationship. Bill Pullman's Walter is set up as the sacrificial lamb, his character burdened with so many flaws that ditching him is merciful relief. Similarly, Victoria is saddled with a hyena laugh that, while comic, dooms her from behind the starting gate. Rosie O'Donnell and Rob Reiner get small roles as the token witty friends. Young Ross Malinger joined the long list of child actors whose debuts coincided with their best performance, and he was unfortunately unable to translate his excellent portrayal as Jonah into a meaningful career. If the script replaces wit and realism with the quest for perfect love, it does leave room for a thread of humour. A satirical manly recounting of the tragic ending of The Dirty Dozen as an antidote to all the gushing estrogen hits the comic bulls-eye. Ephron also treads softly in a variety of locations, with Chicago, New York and Baltimore as well as Seattle all playing their role in the transcontinental love flow. What Sleepless In Seattle lacks in subtlety, it makes up in honest intentions. This is a story of love at its most enchanting, the fairy with the magic wand perhaps not visible but very much in evidence.